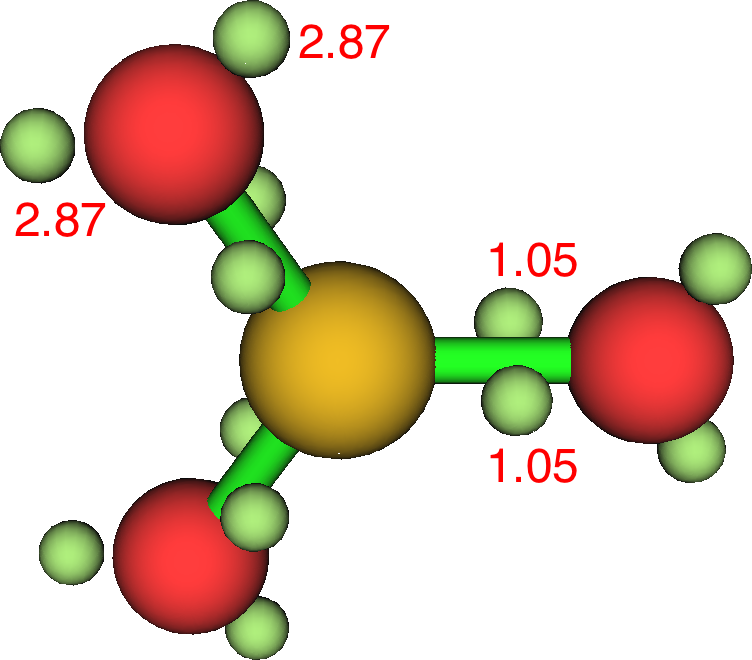 Hypervalence and octet-expansion in sulfur hexafluoride. Starting with X=Y=Z=CH2,‡ the calculated (ωB97Xd/Def2-TZVPP) geometry has an interesting chiral D3-symmetric form. The density based ELF-basin centroids are shown below, with each formal C=S π-double bond represented by two ELF basins above and below the C-S axis and with each pair of ELF basins being twisted by 48° with respect to the other two pairs. The total valence shell count around the S is 10.98e and the octet is “expanded” (by ~3e). The orbital-based NBO approach indicates little utilisation of higher (Rydberg) atomic orbital shells (S: [core]3S(1.13)3p(3.35)3d(0.11)4p(0.02); C: [core]2S(1.15)2p(3.77)3p(0.01)3d(0.01) ). Each S-C bond has a Wiberg bond order of 1.36 (significantly less than a double bond), and the central S has an overall bond index of 4.102. There is a real mis-match between the orbital partitioning (2*1.36 = 2.72e) and the ELF partitioning (2*1.83 = 3.66e) into the S-C bonds. The former indicates that ~two of the twelve valence electrons are entering into anti-bonding orbitals to reduce the total bond index from a possible six to just four, but that they still contribute to the electron-density based ELF disynaptic C-S basins. To cast light on this behaviour, successively one to three of the CH2 groups can be replaced by O. For each “S=O” bond, we find the ELF basin population more or less halves and electrons instead populate the non-bonding O “lone pairs”. The S-C ELF populations in contrast remain approximately constant. These species therefore have “double” S=C bonds but just “single” S-O bonds. The Rydberg population increases slightly; S: [core]3S(1.06)3p(2.95)3d(0.16)4p(0.02)) and the S bond index is 4.18 for one oxygen and S: [core]3S(0.99)3p(2.67)3d(0.19)4p(0.02) and S bond index 4.16 for two oxygens. Sulfur trioxide (below) seems best represented by S-O rather than S=O bonds. 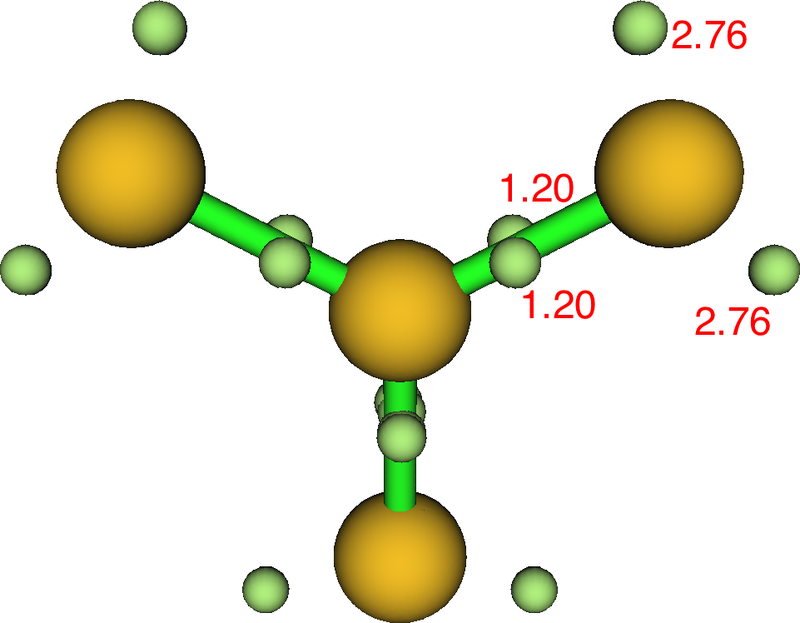 The Rydberg population is S: [core]3S(0.91)3p(2.41)3d(0.21)4p(0.03) and the S bond index is 4.32. Just for good measure sulfur trisulfide S(S)3 shows rather lower lone pair population because of course it is less electronegative than oxygen, and hence has a slightly greater S-S ELF basin population. Rydberg, S: [core]3S(1.43)3p(3.73)3d(0.21)4p(0.03) and central S bond index 4.04. 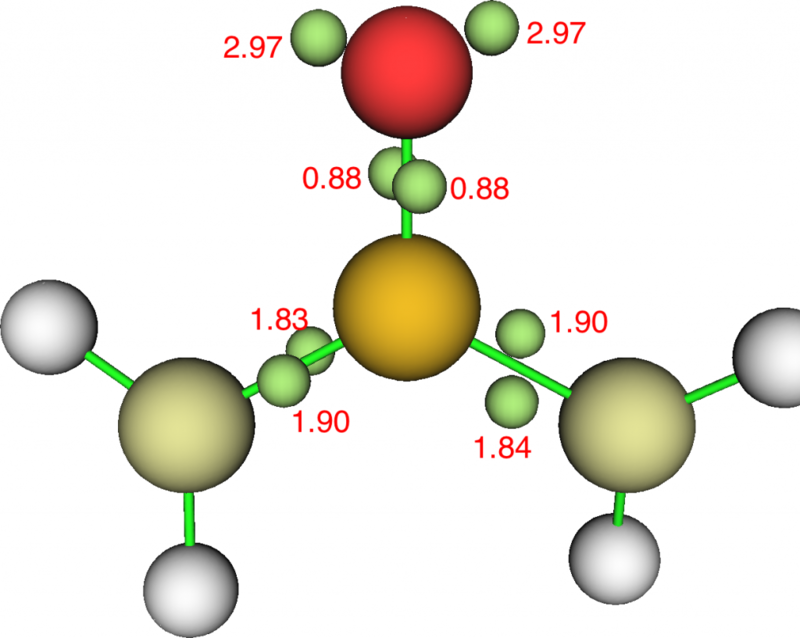 It seems molecules where the electrons in a valence shell exceed the “octet” are only too happy to let the excess electrons leak out into adjacent electronegative atoms as lone pairs, where they are no longer classified as “shared”. 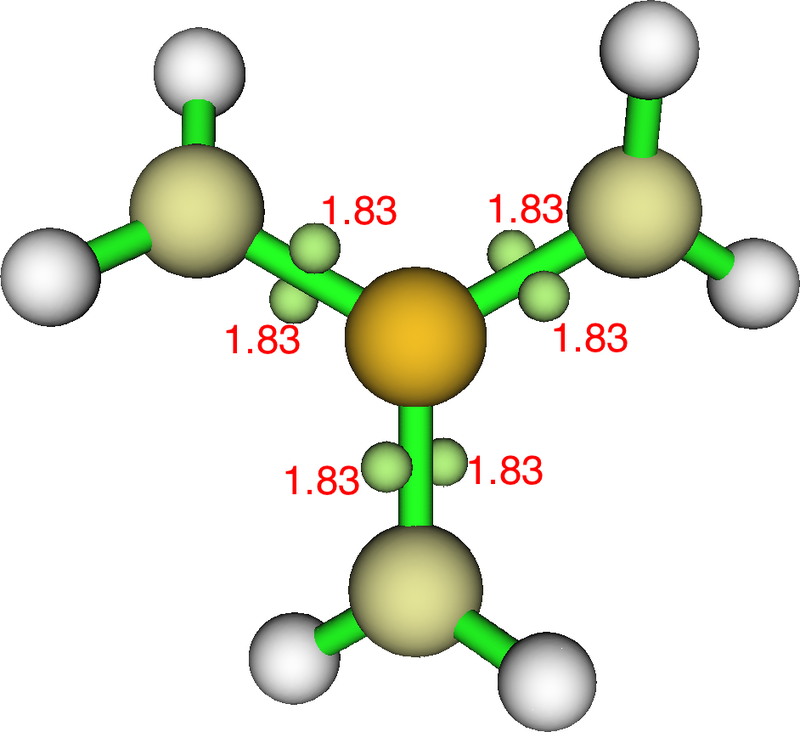 Trimethylene-λ6-sulfane does not have this option and the excess electrons remain in the region of the valence shell, but here they do not contribute to augmenting the bond index at the central atom. In this specific interpretation, the octet is exceeded, but hypervalence is not induced. It is a slippery concept; one where general agreement about its properties may indeed be difficult to achieve! ‡The FAIR data DOI collection for this post is 10.14469/hpc/3316. This entry was posted on Monday, November 27th, 2017 at 2:49 pm and is filed under Hypervalency. You can follow any responses to this entry through the RSS 2.0 feed. You can leave a response, or trackback from your own site. 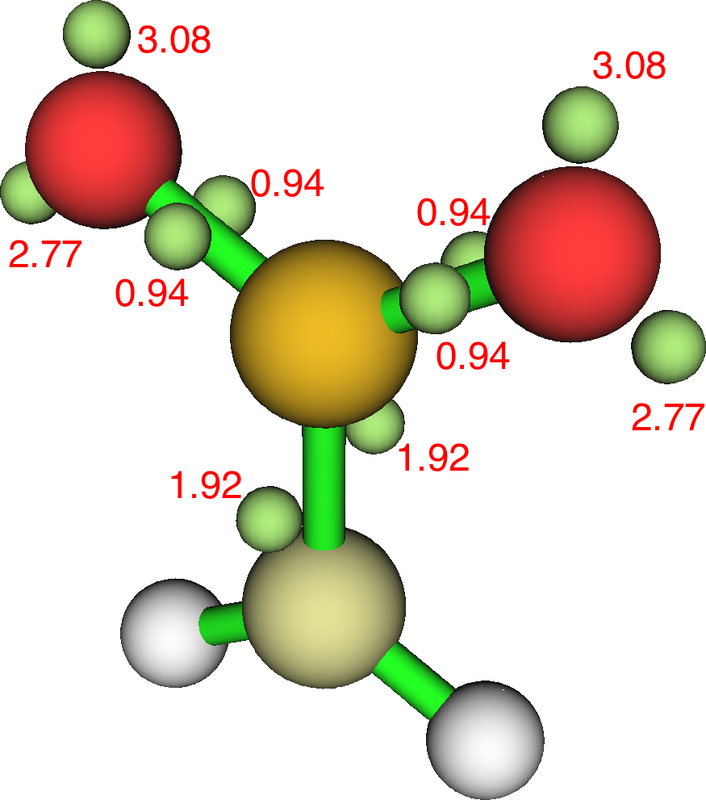 Hypervalence and octet-expansion in trimethylene-λ6-sulfane and related species. is licensed by Henry Rzepa under a Creative Commons Attribution-Noncommercial-Share Alike 3.0 United States License.